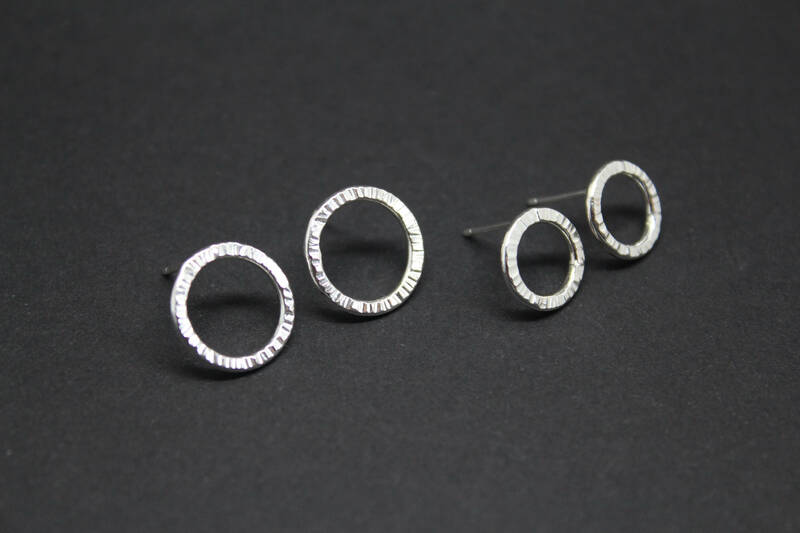 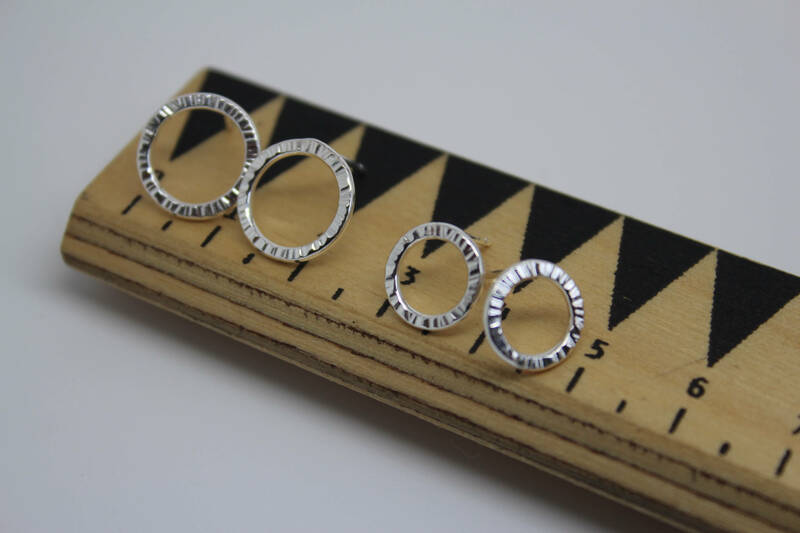 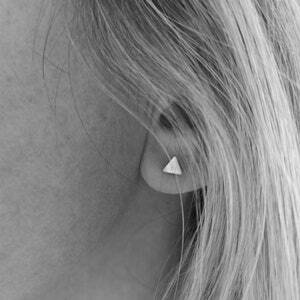 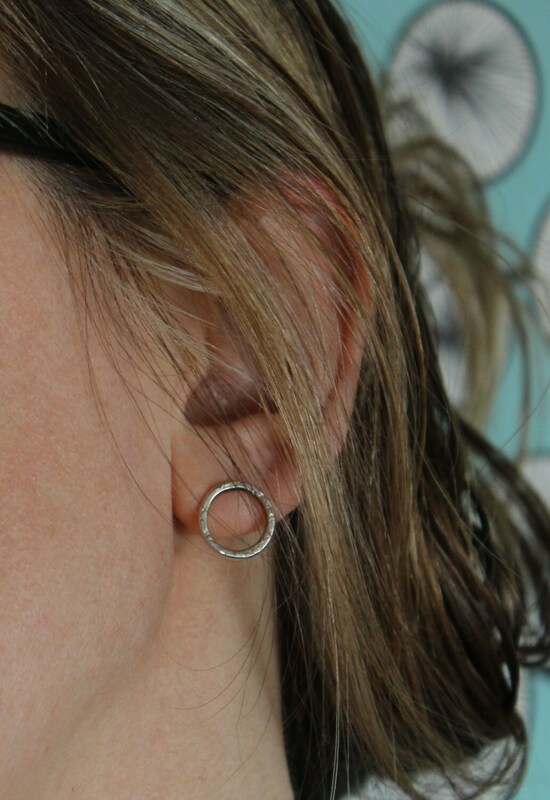 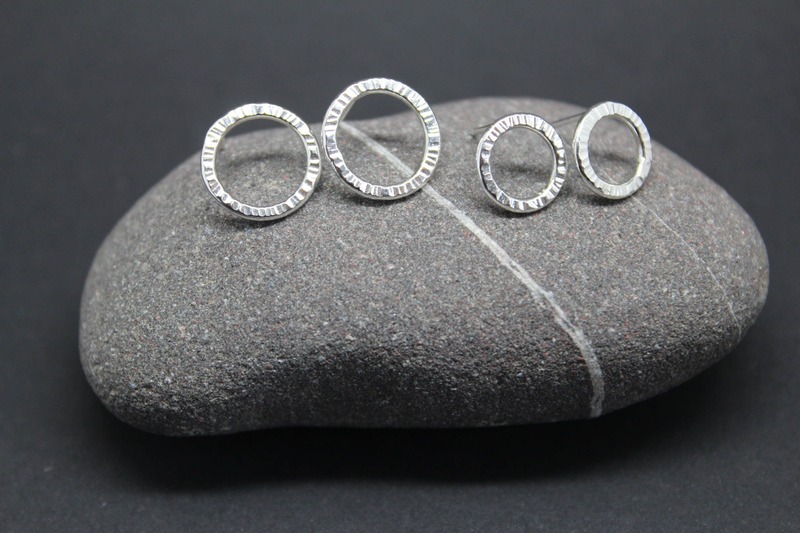 These hammered open circle sterling silver studs are perfect for everyday wear. 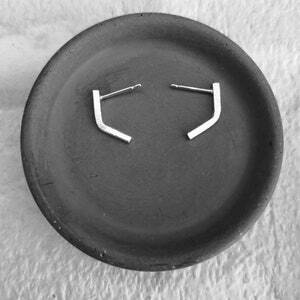 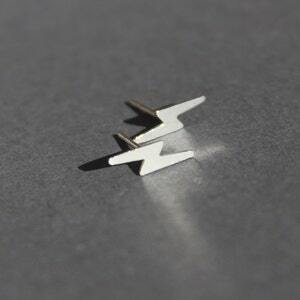 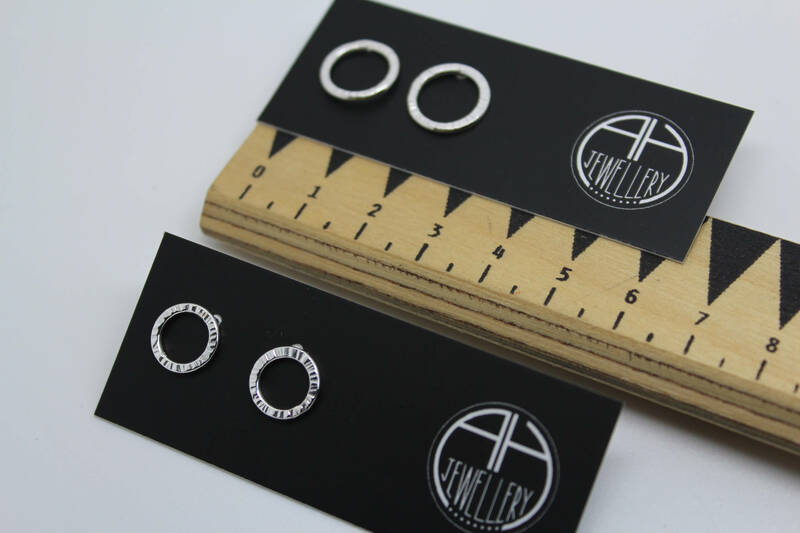 The small studs measure 10mm diameter and the large measure 12mm in diameter. 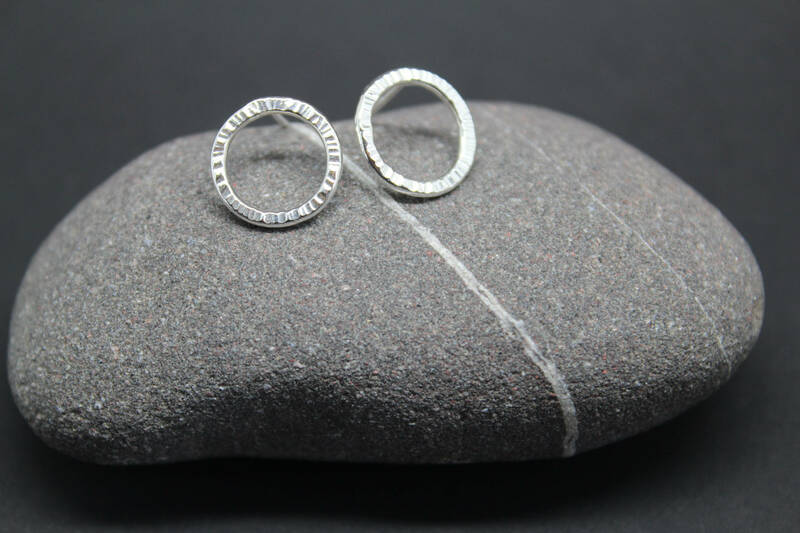 If you'd like me to send the earrings directly to the lucky recipient, please ensure it is their address that is included at checkout. 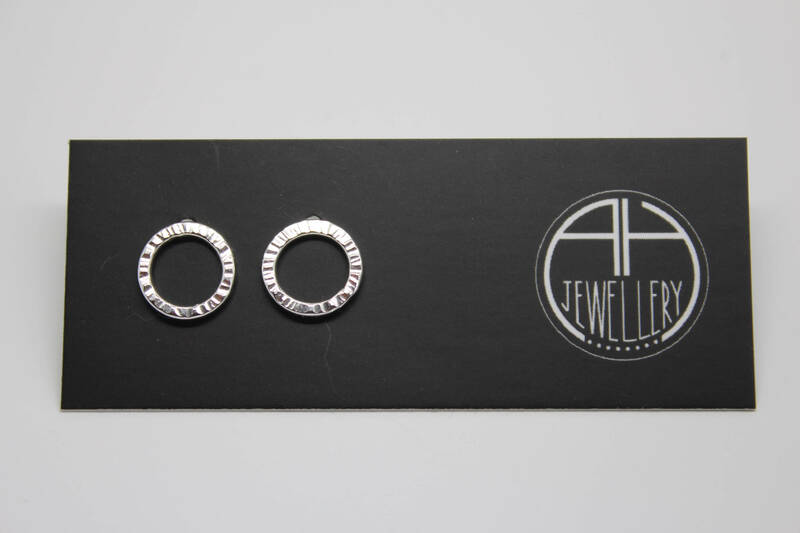 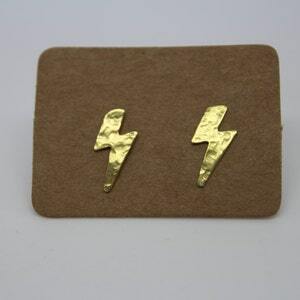 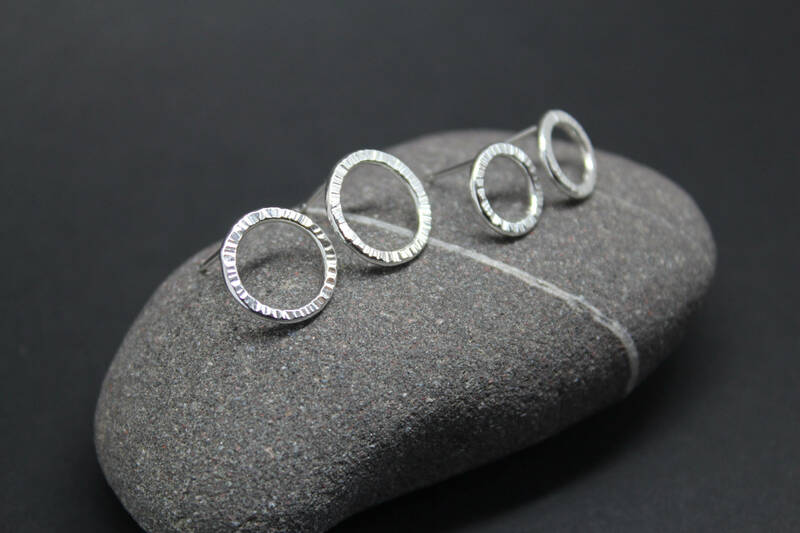 Your earring studs will be sent mounted on an AH Jewellery earring card, as shown in pictures. 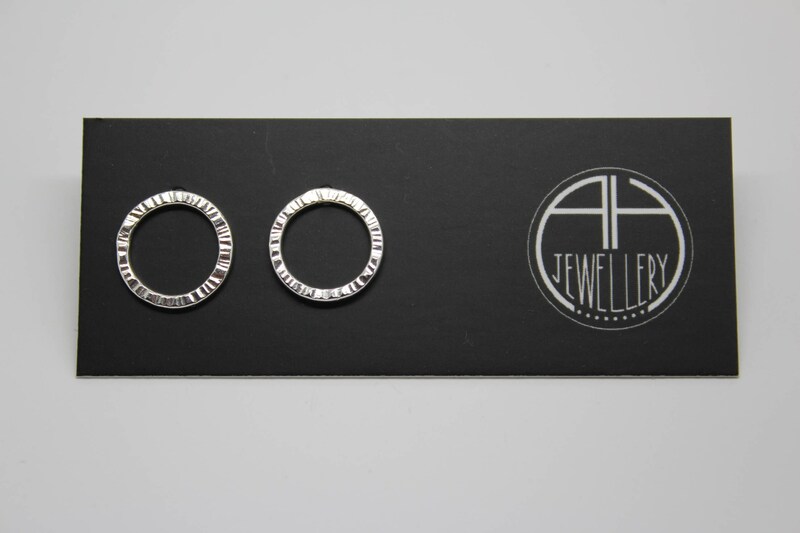 Please note that I do not include any paperwork relating to cost of the order within the package. 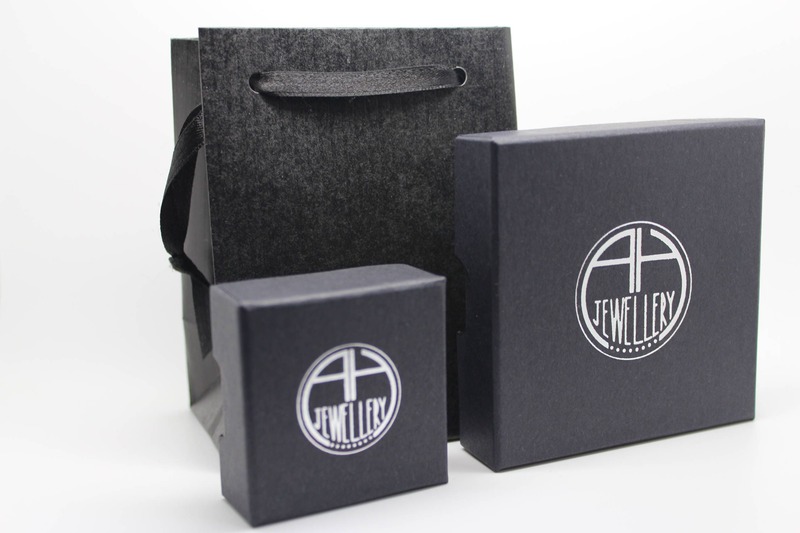 Your jewellery will be carefully packaged inside a cardboard postal box, nestled amongst tissue paper to protect the contents.